The countdown is on for the HomeRun Project · ABS. A Better Way. 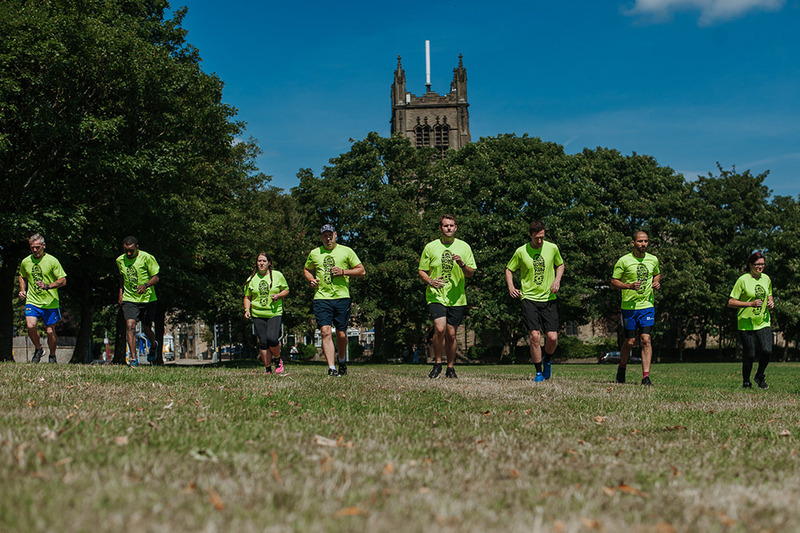 The HomeRun Project, an innovative scheme for the local homeless community in Calderdale which is supported by our charity arm, the ABS Foundation, is gearing up for The Great North Run on Sunday. This fantastic project is designed to utilise the benefits of running as a means of boosting the mental health and wellbeing of the homeless population in Calderdale. For the past 18 months the ABS Foundation have teamed up with Community Foundation for Calderdale (CFFC) and Calderdale SmartMove to deliver the HomeRun Project, which aims to help participants deal with and overcome issues typically associated with homelessness, including alcohol and drug addiction, stress and depression. Training sessions are held at Calderdale College every Wednesday and on the first Wednesday of every month, the sessions are held at Crossfit Defiance in Brighouse. Both of the venues have been key supporters of the project. DG Ozfit, former Leeds Rhinos rugby player and personal trainer, volunteers his time as a coach and mentor to the participants of the HomeRun Project. “I have been working with the project since April 2017 and it’s great to see how far they have come, I am so happy that I got involved with this project as it has been one of the most rewarding experiences I have ever had,” said Damian. We’re extremely proud to be a part of such a great project that is having such a positive impact on those that are taking part. “We’re delighted to see how much the project has already achieved and how valuable the project has become to some of those taking part.